We’re a young and talented group of entrepreneurs with groundbreaking ideas designed to contribute towards a better tomorrow in AI Talent. We provide smart solutions for companies of all sizes and pride ourselves on our unparalleled, dedicated service. 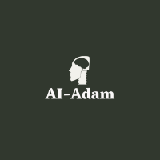 At AI-Adam, we believe that the right understanding and technological edge can lead companies towards a successful future.Contact us today to set up a meeting with us.